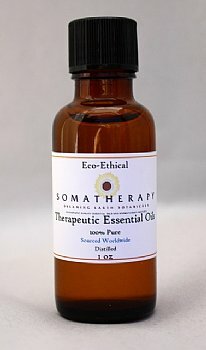 Clary Sage essential oil is a favorite! This lovely oil has the most deliciously warm, herbaceous scent, and both uplifting and grounding properties. We love diffusing Clary in the evening, before going to bed and during times when we feel overwhelmed or scattered. It's also a fantastic oil for including in blends and we've given you several recipes below! Aromatherapy class: balancing, calming, toning. Traditional use: skin conditioner, astringent, soothing agent, aphrodisiac. Do not use during pregnancy. Avoid while drinking alcohol or driving as Clary Sage essential oil can have a sedating effect. Mix 3 drops lavender and 1 drop clary sage with a teaspoon of your favorite carrier oil. Add to a warm bath & relax.